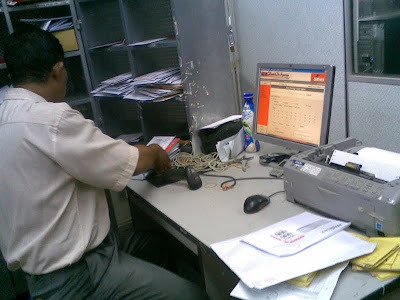 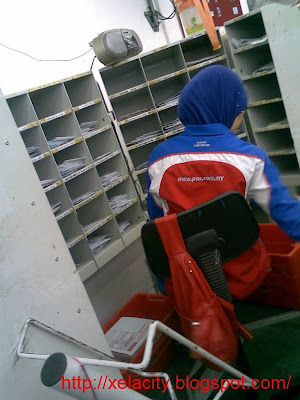 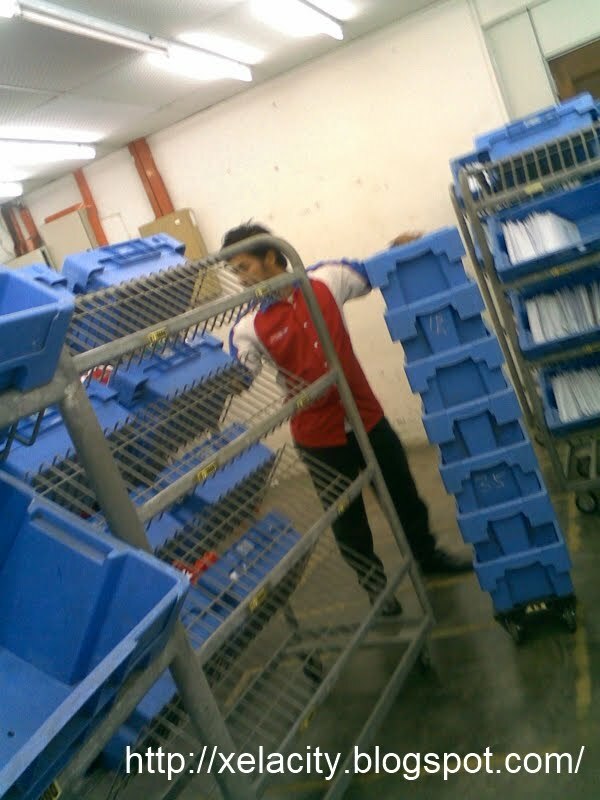 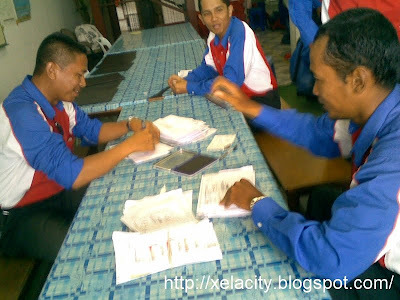 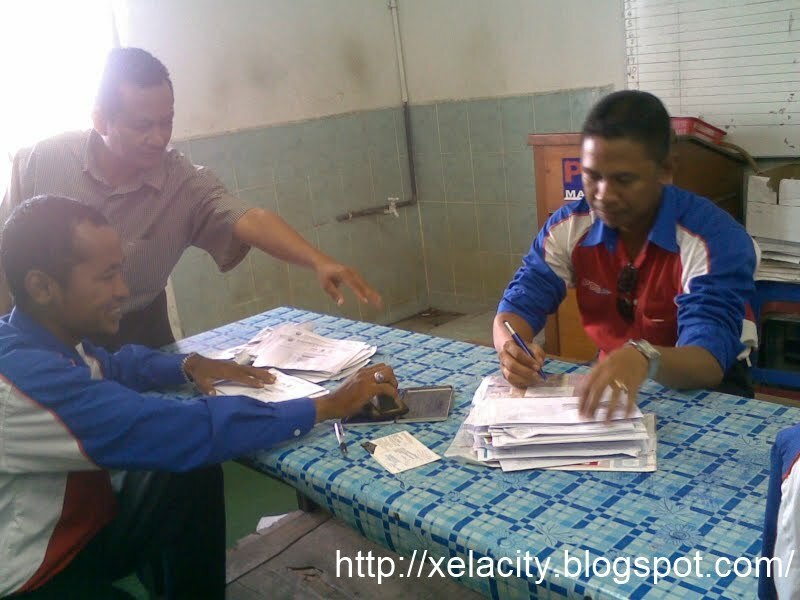 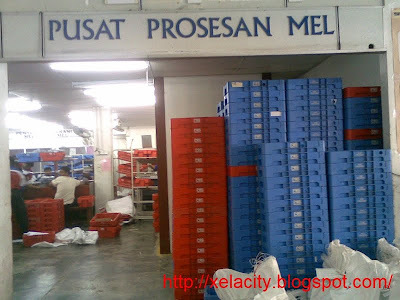 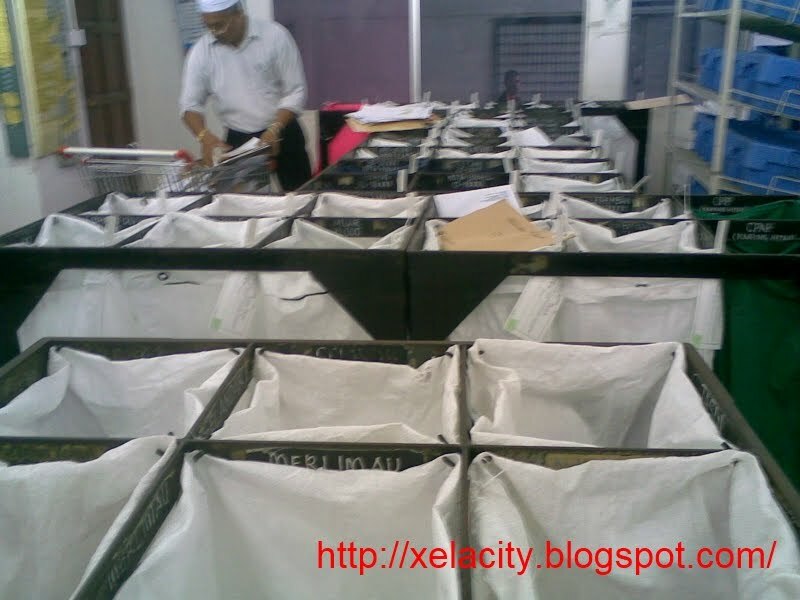 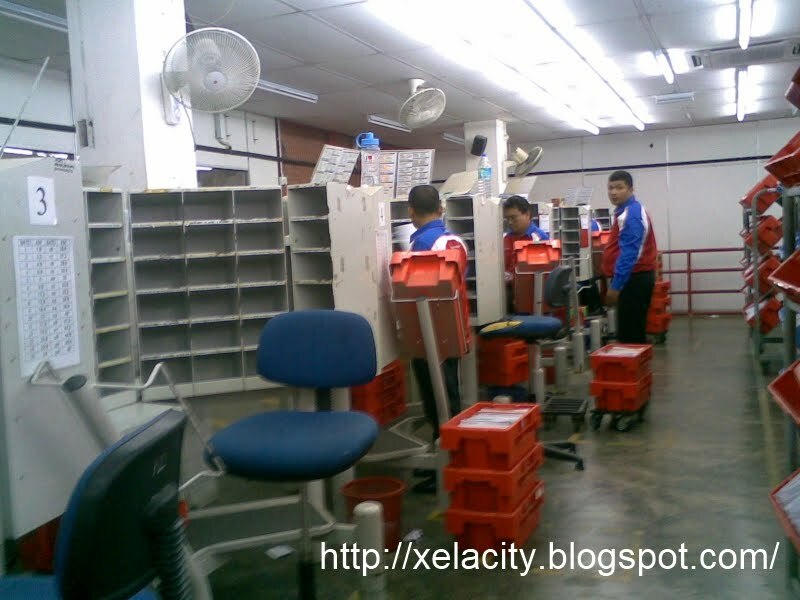 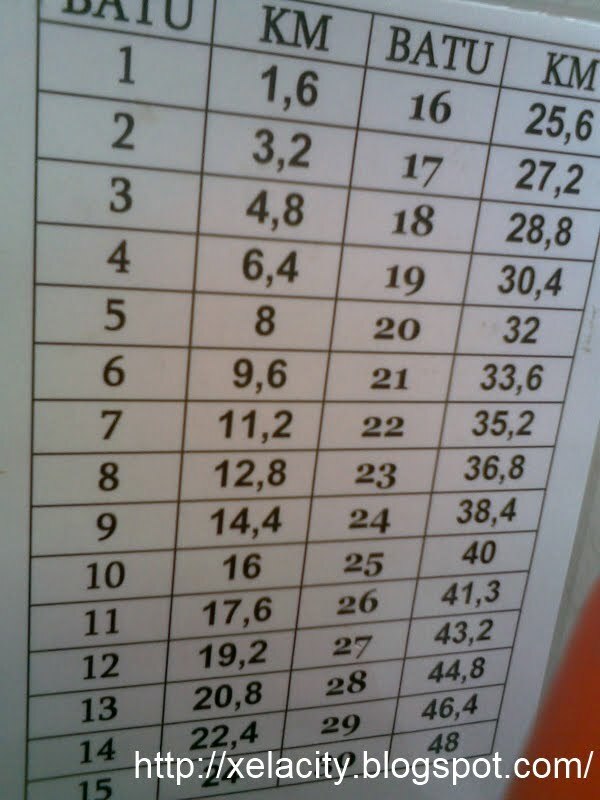 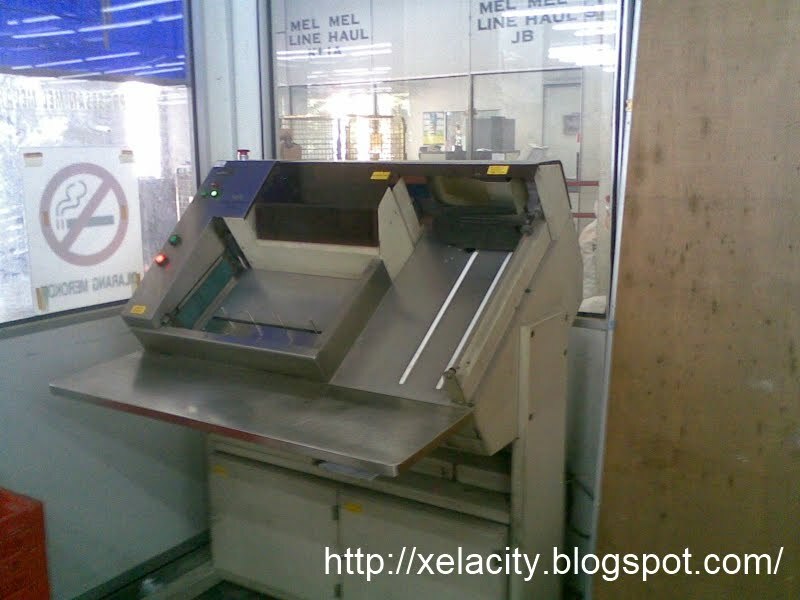 ( Head of Mail Operation PosMel Melaka ) for explanations. Mails collected from other Mails Processing Centers will be Chop by using Machine. Mails collected from local Mails Collection Boxes will be Chop and determine the stamp paid by Human. 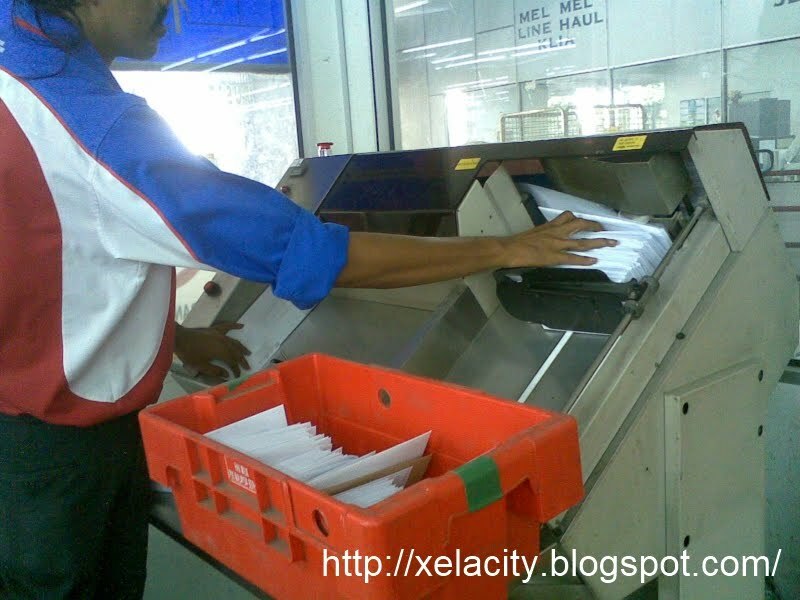 Mails that deliver to local address will 1st been classified by referring to Post Code. 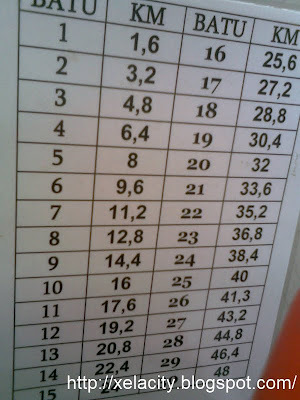 Each small box lot will represent 1 Post Code Number. 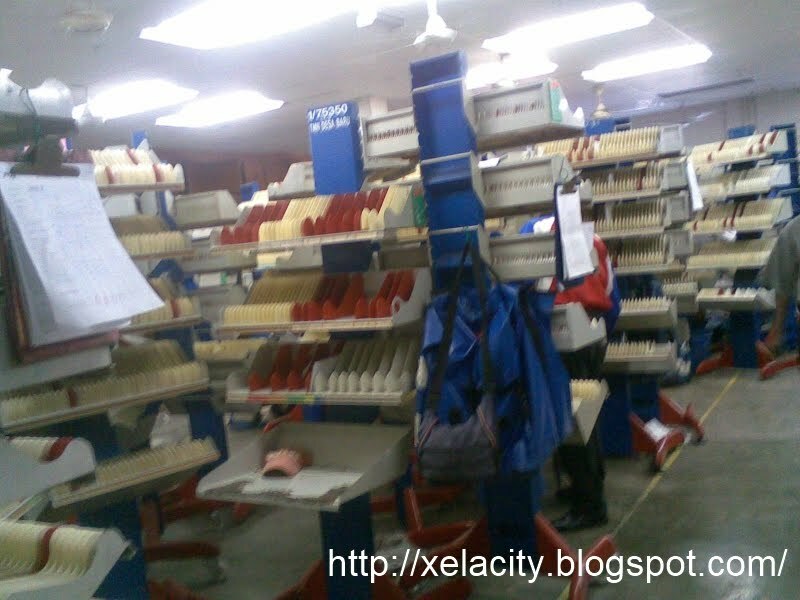 Each small rack represent each individual house. So all of us are actually having our very own small rack for our house in the Mail Processing Center. 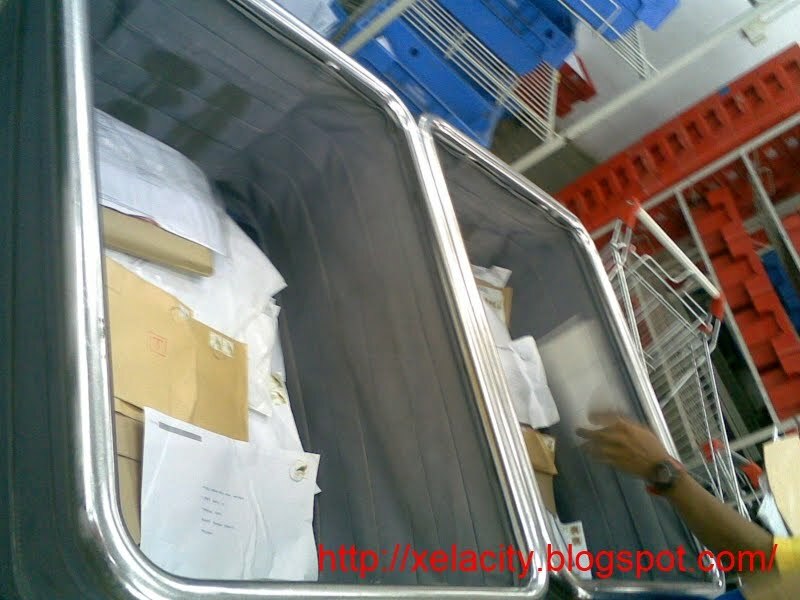 Non-local address mail (whether is to other part of Malaysia or to foreign countries ) will be classified and delivered to other Mail Processing Centers. 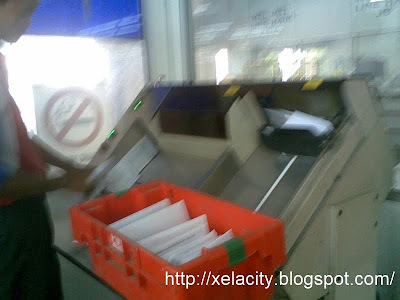 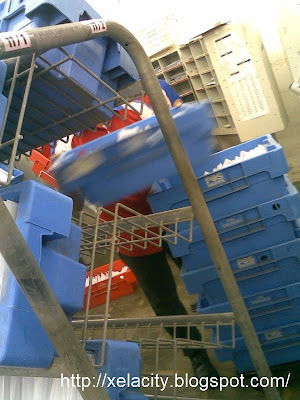 Mails that were rejected or unable to deliver will be sent back to the Mail Processing Centers with the "Chop of Reasons" for reasons notification. 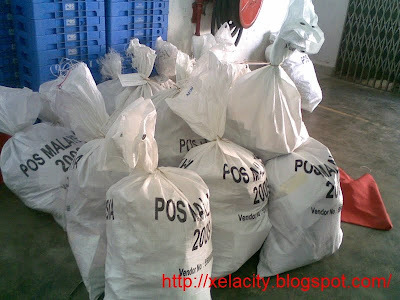 Mails that with Tracking Number (Exp : Registered Mails) will be sent to the Secure Processing Room for processing. 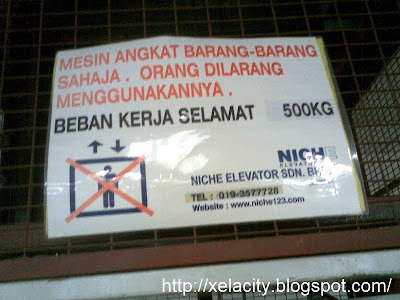 Only permitted persons are allow to enter the Secure Processing Room. 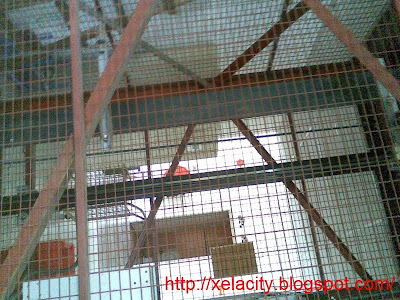 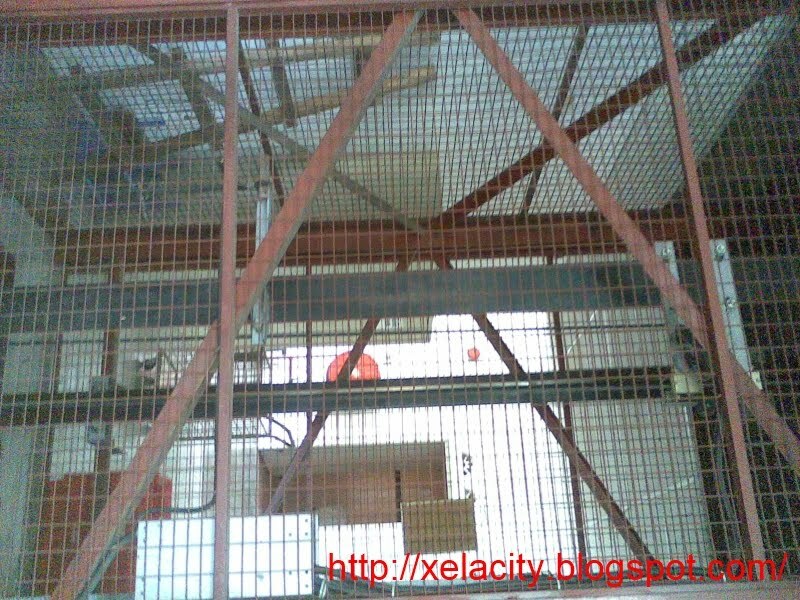 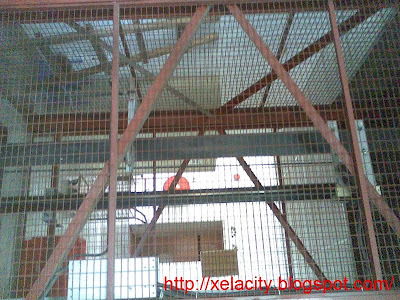 All the mails classification racks are lockable for security reason.